Domestic. 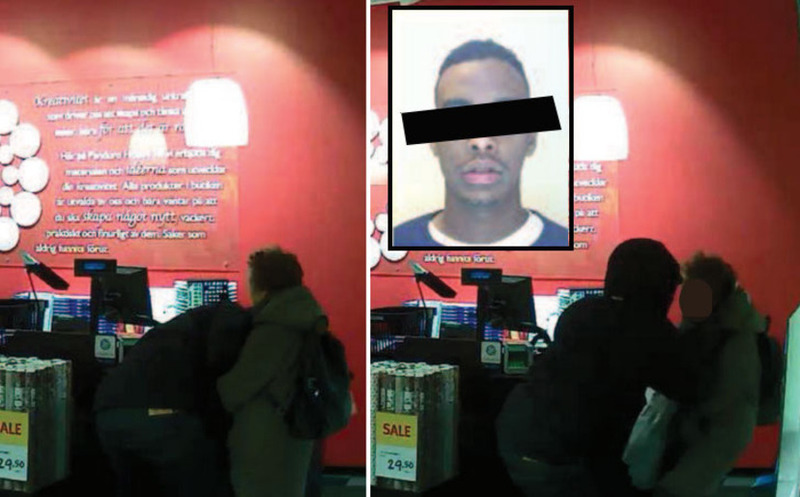 Right now the trial of a 19 year old Somali suspected of being behind a series of brazen and brutal robbery against the elderly between 75 and 85 years in central Stockholm. Several of the injured in connection with the robberies - including a 76-year-old woman who was bitten in the hand. On January 15, 2016 visited Elsa, 76, Nordea bank branch on St. Eriksgatan in Stockholm, where they took out 10,000 crowns in cash. What Elsa did not know was that the 19-year-old Ahmed vigilant noted her movement inside the bank branch. He also went after her from the bank to Panduro Hobby shop on Main Street, where he tried to wrest the her purse. When Elsa resisted Ahmed replied with biting her hand and resorting wallet, and then run away to Hötorget Metro Station. This is while the terrified 76-year-old victim remained standing and screaming in pain inside the store.